In this day and age, police officers are under intense scrutiny. Any complaint of bad conduct could trigger an internal investigation and possible disciplinary action. So our FOX 5 I-Team was intrigued when a DeKalb Fire department employee complained that a local police officer cussed her out. Dale Russell reports that things are not always as they seem. Stone Mountain Police Sergeant Stephen Floyd was patrolling on a sleepy DeKalb County street early one morning when he spotted a car with an expired tag. He ordered the driver to pull over. Routine stuff. But, what happened next was far from routine. This stop led to a citizen’s complaint alleging a ‘hostile’ Sgt. Floyd “threatened” a witness to the traffic stop. This is how it unfolded. Sergeant Floyd approached the car to find DeKalb County Fire and Rescue Captain Terrell Davis behind the wheel. Dr. Alexander is DeKalb County’s Public Safety director, Dr. Cedric Alexander. But Sgt. Floyd ignores the name dropping and heads back to his car to write a ticket. There, he meets Krystal Cathcart, another DeKalb Fire and Rescue employee. Once again he hears about Dr. Alexander. But when Krystal Cathcart filed her complaint with Stone Mountain police, she must not have known that Sgt. 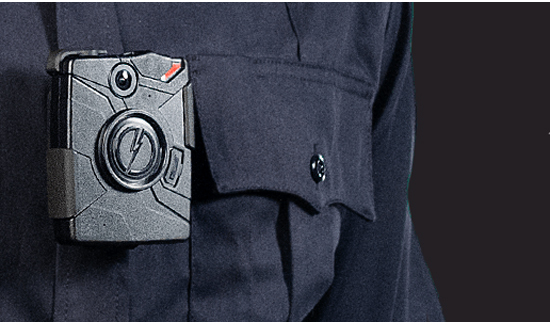 Davis had a dashboard camera on his car and a body camera on his chest. The video tells a much different story.